So while i’m technically not ready to put out any fresh threads, something important was announced today and deserves a little quick write up. Today on a special episode of Akbingo! 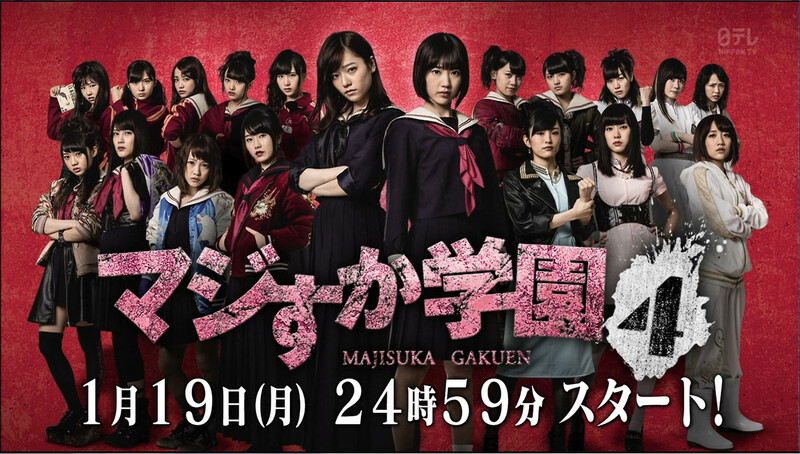 the Majisuka Gakuen 4 cast has been revealed and some of the plot as well. It appears that we’re back in the same Majijo school from the 1st 2 seasons and this story is somewhat of a continuation. It takes place a few years after the events of season 2 so some cameos of past characters can’t be ruled out. I had predicted in a previous thread as to who the main character would be and I would just like to say I TOLD YOU SO!!! lol. The main character is none other than 48G’s it girl…. Murashige Anna International Fanbase Hub on SKE48 Ebi Calcio Episode 2 Review!!!! SKE48 Ebi Calcio Episode 7 Review!!!! SKE48 Ebi Calcio Episode 6 Review!!!! Majisuka Gakuen 4??? Confirmed for January?? ?